Diamondback Recoil 29er Review / Is It Worth Buying? 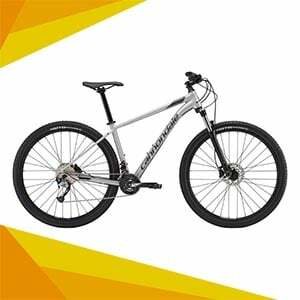 Diamondback’s Recoil mountain bike comes will a full-suspension 6061 T-6 Aluminum frame. The pivot points are Sealed Cartridge Bearings. 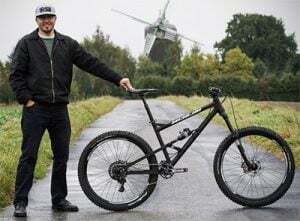 In short, this means that it’s a good material frame that will provide enough strength and not be too heavy, which is especially important because of all the weight added by the suspension components in comparison with hardtails (non-full suspension bikes). The bearings are sealed and this translates into reduced maintenance overall. The single-pivot swingarm’s main advantage is its simplicity. Since it has fewer moving parts it means it can either be made stronger, lighter, or more reliable – or a combination of all three. Plus, the design is very easy to understand and provides very efficient pedaling and predictable dampening. 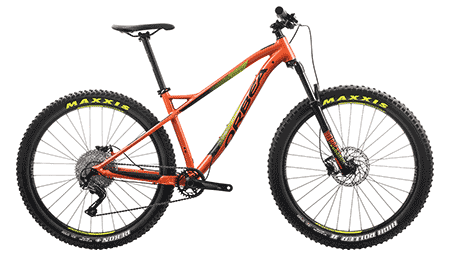 It has 4 inches (100 mm) of suspension travel upfront and at the rear which is more than enough for most trails, especially since the 29” wheels make it easier to roll over the gnarly stuff. However, both the front and rear suspension lack tunability so you rely solely on the manufacturers setup, which is near impossible to fit you, or your riding style, perfectly. All the shifting components of this Diamondback Recoil 29er are Shimano. The front derailleur is Altus which is the company’s low-end component and the rear derailleur is Acera, the next tier up. The fact that they are entry level components doesn’t mean they don’t function properly, however they are a little heavier and more likely to break if they are hit whilst riding. The brakes are simple Tektro mechanical brakes, they get the job done, however they might be fatiguing if there is a long slow descent. In the future, this can be a good upgrade opportunity if the rider finds it uncomfortable, in my experience, for most riders it’s not a big deal. If you are worried about ordering this bike online because of assembly, you’re in luck! In comes in Diamondback’s “READY RIDE” box, which means they’ve done all the hard work to make it as easy as possible for you to get out and riding. 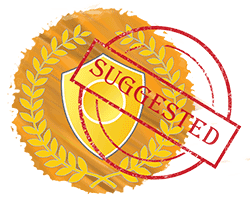 There are clear instructions online and the tools come included in the box. 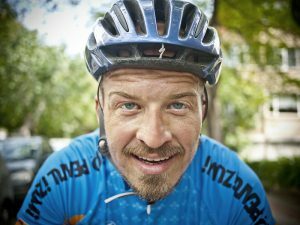 Anyone can do it, but if you’re nervous just take it to your local bike shop and they can do it for you. 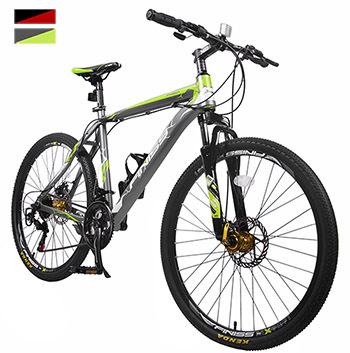 It’s very hard to find a perfect budget full suspension bike, and this is not it, unless you are willing to change out some components right away, specifically the rear shock. It isn’t very effective as it provides more bounce than dampening, and it has no controls for adjustment. If you’re not happy with those, you can always upgrade those. All that being said, you can’t expect more for the price (a single brand new rear shock from Fox can cost more than this complete bike!). For me, it’s an ok first full suspension bike that can be upgraded in the future. However, Diamondback offers the same bike, the Recoil Comp, with improved components for not that much more, and if you can afford it I would recommend it, since it’ll probably be less expensive than to upgrade in the long run and changes most of my issues with this one!